Josh Granger of Redding, Ca. with a great Shasta Lake rainbow trout. Shasta Lake had a great summer and many of the marinas experienced a much needed surge in business after seeing lake levels falling to its lowest point since the 70's. Last year I saw lots of boat traffic and there were plenty of houseboats roaming the lake all summer long. Well summer has come and gone and recreational users have all but vanished making Shasta a very peaceful place to be. 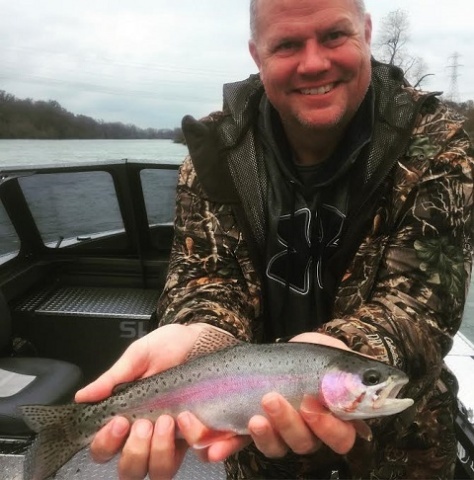 Water temps are down in the low 60's now and the fishing is coming back to life near the surface making the bass and trout more accessible for all anglers. Spotted bass fishing is picking up and tournament season has begun. From here on out, Shasta will be hosting numerous bass fishing tournaments for the next several months. It's not normally a season that brings big crowds, but some of the tournaments can bring 100 or more boats to the lake on the weekends. With temps still in the 60's, the top water bite is still going on and baits like the Wopper Plopper, Sammy's, and Spooks are a good bet especially early and late in the day. Bass anglers are catching spotted bass on swim baits, worms, spider grubs, and Senko's. Fishing the main points and cuts have been the ticket, but when the big rains come, fish the creeks and the mud line on the banks. 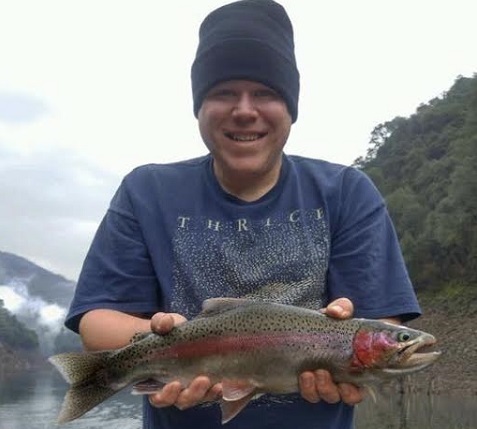 Rainbow and brown trout fishing is picking up now too and I'd look for it to improve into winter. These trout will be found near the surface now and 10' is a great place to start running your baits. The trout are pretty much everywhere, but trolling the coves near shore and some of the bigger points can and will be productive. The trout are still feeding heavily on shad so running baits in white, chrome, blue chrome, or 50/50 has been a good bet. When the lake gets some color, try using bigger baits in solid colors that will be easier for the trout to feel and see when you troll over them. It's always a good idea to add some scent or tip your baits for that added attraction. 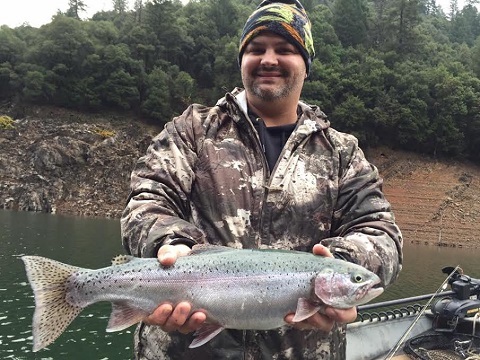 Recently, Josh Granger and Bryan Danielson made it out on Shasta Lake to do some trout trolling and found great success trolling baits on the east end of Shasta between 5-15' deep over 50' of water. Josh reported they fished until about 3.00 pm but managed to get 10 nice rainbows, the largest of which was 4 pounds. Josh used a variety of baits, but would tell me he liked his white baits best. 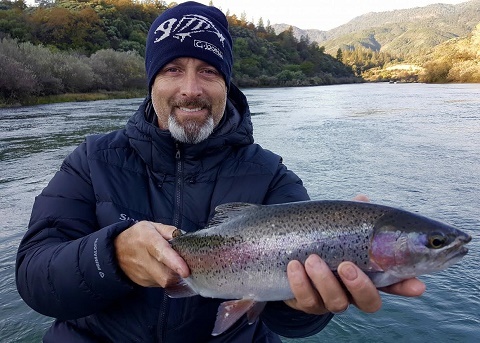 Some of the best trout fishing of the season is still ahead of us so get out there and take advantage of this amazing fishery on Shasta Lake!